Tank Davis is set to take on Hugo Ruiz tomorrow in southern California, there has been much criticism of Tank’s level of opposition. Tank’s promoter and mouthpiece Floyd Money Mayweather has finally spoken up and taken the blame for the lack of Davis’s competition. The legendary former champ defended the WBA 130-pound champ saying “Every time he has came to me, when I say, ‘Who you wanna fight?,’ he says, ‘It doesn’t matter.’ So he don’t pick and choose. So, if y’all wanna criticize anybody, criticize me, criticize Leonard Ellerbe or criticize whoever. But don’t criticize the fighters. The fighter’s job is to go out there and fight and be the best that they could possibly be.” Davis has been exceptional in all but one outing a fight against Francisco Fonseca, which unfortunately was seen in front of approximately 4.5 million PPV subscribers on the undercard of Mayweather/McGregor. The problem is he has looked exceptional against less than flattering opposition and recently has fought at all. Davis has fought just once since August of 2017. 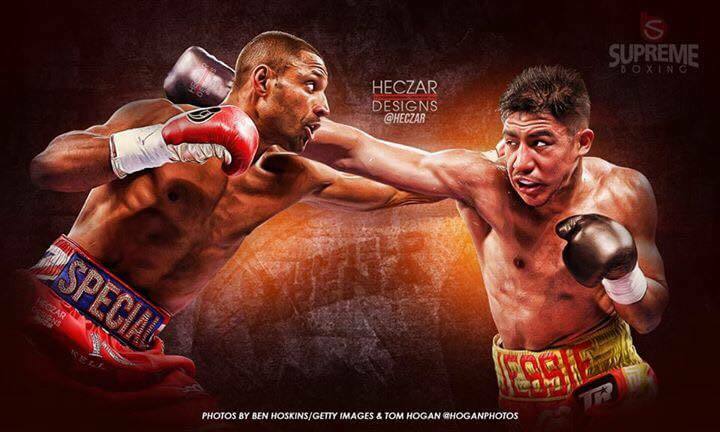 When Jessie Vargas signed with Eddie Hearn a showdown with former welterweight champ Kell Brook seemed like a logical showdown and it appears we are on our way to getting a Brook-Vargas showdown. Vargas has reportedly accepted most of the terms for a fight against former IBF welterweight champion Kell Brook in April in the U.S, according to ESPN and is now only waiting for the 32-year-old Brook to accept and sign on. Vargas, a former two-division world champ has already begun training and if he is unable to secure a fight with Brook he has called out 154-pound champ Jaime Munguia. Perhaps the rumblings that he could no longer make 147 are turning out to be true.